Thus your avatar? I liked the Charizard one better, though. I like Moltres and Zapdos a lot better; but all 3 birds are of lesser-common types. I love all the Base set cards, but I would have to go with Dark Dragonite from Ex Rocket. I got a JP Base Set Charizard a while back. I also have a Japanese E-Reader series 1st edition Mewtwo. I used to collect the cards back when I was little. Some time after Crystal released though, my mom (being uber Christian. 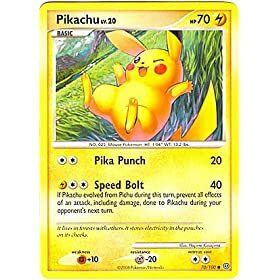 I myself am atheist and never cared for religion even while young) suddenly decided Pokemon was Satanic and of the devil and threw out all of my cards, video games, figures, etc. Of course I was really upset over this (still am actually despite being 20 now), but now I've recently been able to get into Pokemon again with Diamond/Pearl. As for the cards though I don't remember what all I had, but I had a lot of the old series cards. And I had two cards I remember clearly which i thought were really special back then, Ancient Mew, and a Japanese Espeon card. I recently looked them up on ebay to discover they are actually pretty cheep. Guess they weren't as special as I thought. I have no credit card so I couldn't buy them, but I hope to buy them again sometime down the road. For sentimental reasons I guess. I'd have to say those two cards are my favorites. I don't know any of the new ones at all. 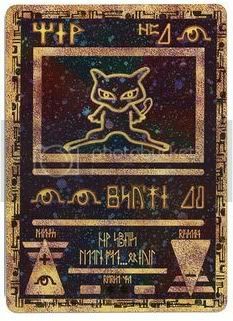 My fave is my EX holo foil mew card. 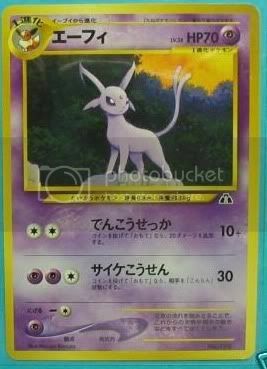 i dunno, but mew cards are my favorites, not bc their rare, just cuz i like them. I also like my dark dragonite and Umbreon EX card. Location: Does the Death Star count? you will lol at this but my fave is this porly photoshoped togepi card. fire type, 900 hp, evolves from vulpix, and its two attacks did either 120 dammage or 180 damage, the latter took 7 energys to use. If I had to choose one, it would be the Typhlosion EX card that I got for my 6th birthday. It was just the card because it costed like $10. Lol. Mine is the bottom half of a Ho-Oh legend. I know I can't use it, but it still looks awesome. Either that, or an epic Ancient Mew card. I have the original Charizard card in Japanese, German, English, Dutch and something i cant deduce. I think this sparked my love for charizard. 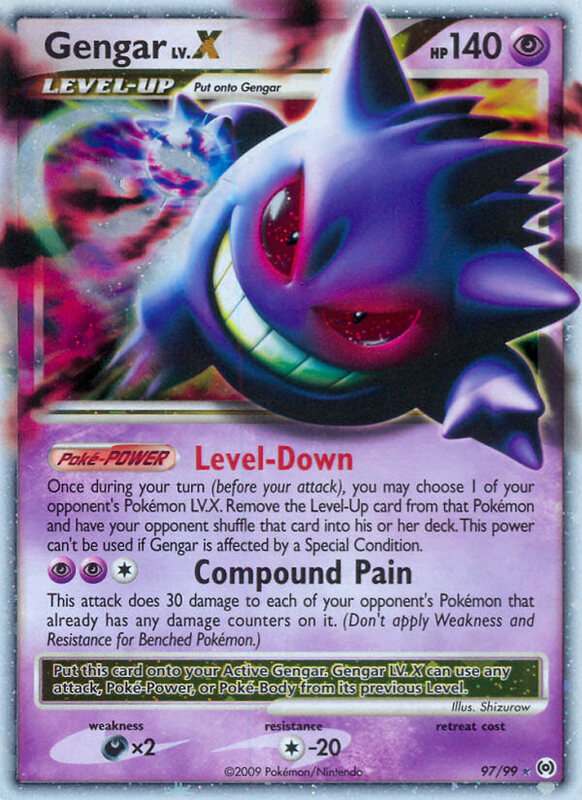 Also above someone posted a pic of the mew ruins card, i also love that! 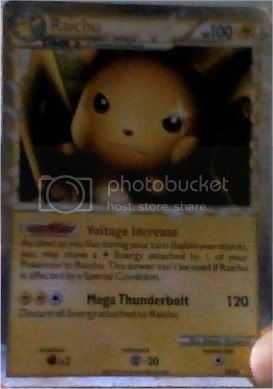 The original from the fossil pack. Epic! 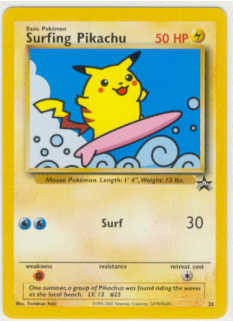 Last edited by Raichu009 on Thu Aug 23, 2012 9:38 am, edited 1 time in total. Ho-Oh ex is really handy, I have 2 in my deck with different art, as well as the non-ex version. Since there are 8 types of basic energy cards, it can be powered up and eventually do up to 170 damage every turn (8*20+10). 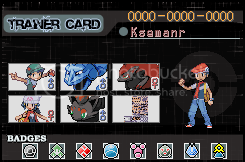 (unless there's a basic colorless energy card, and if that could count, then it could do 190). Alakazam star (shiny alakazam) is also great, because you discard a monster form your hand and use one of its attacks, and next turn you can use an attack to get it back. My favorites are Rayquaza EX Delta Species (the one with Lightning Storm), Rayquaza from Legends Awakened (the one with Sky Judgement) and the Blaziken from the same edition. Your active pokémon is now confused. Imakuni wants you to play him as a basic pokemon, but you can't. A mysterious creature not listed in the pokédex. He asks kids around the world, "Who is cuter-Pikachu or me?"